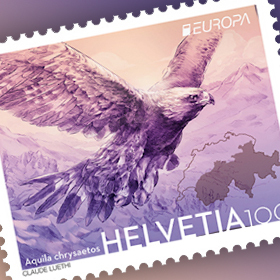 This year’s Christmas stamps come from the winner of the second prize in a design competition hosted among Liechtenstein artists abroad. Manfred Näscher left his home country in 1996 and has been living and working in Berlin since 2008. In his design of the traditional Christmas story, he decided to depict four digitally produced scenes from the Christmas story resembling wood engraving. 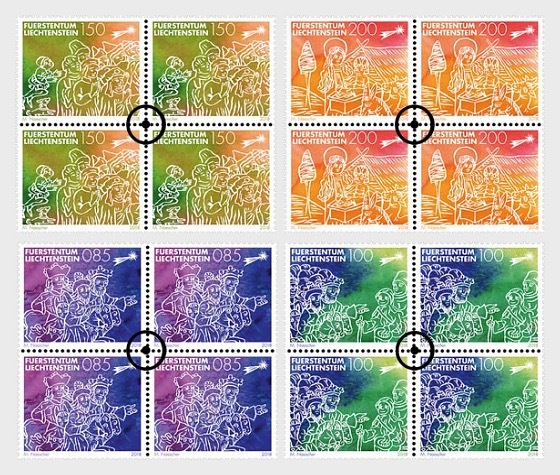 The self-adhesive stamps “The Wise Men from the East” (value: CHF 0.85), “The Star Shows the Way” (value: CHF 1.00), “Peace on Earth” (Value: CHF 1.50) and “Birth of Jesus” (value: CHF 2.00) were printed on a 20-stamp sheet. 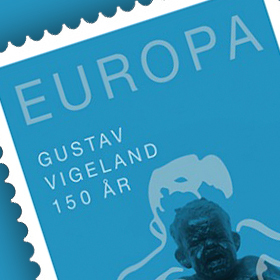 When the four sheets are placed side by side in increasing value, the colour progression becomes apparent.